I wanted to share a quick little project with you today. 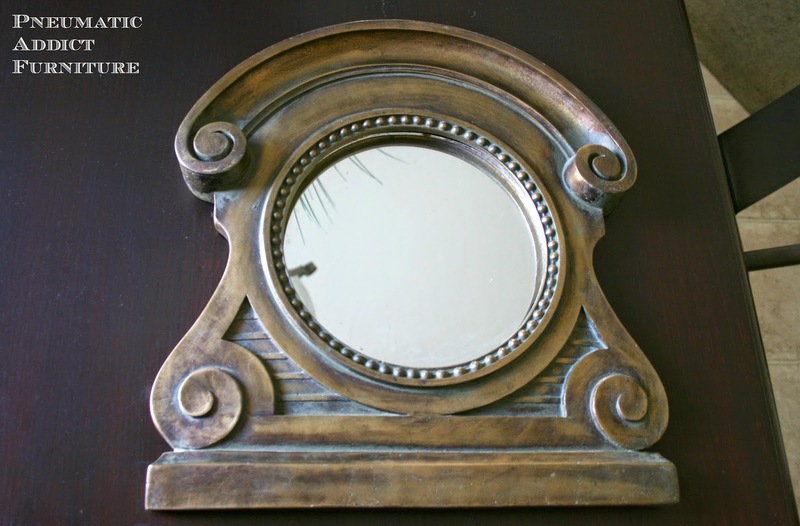 I loved the patina on it and the unique shape, but when I hung it on the wall, it looked odd. Like, it was missing the bottom. I decided it would be better as a table mirror. That means I needed to make a base. I started with a plain ole 2 x 4 I had in my scrap bin. 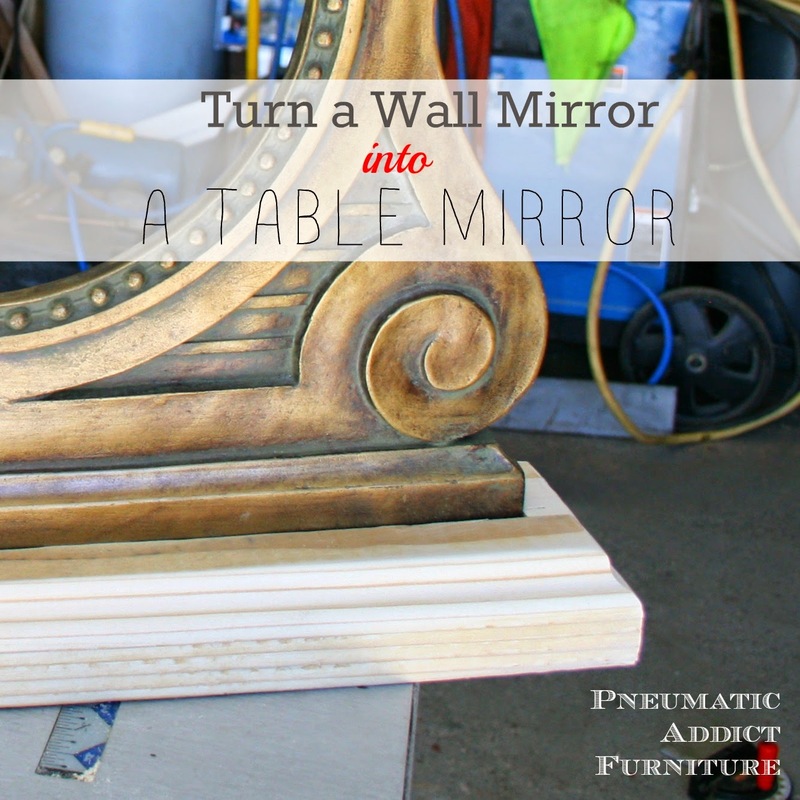 The first step was to measure the bottom of my mirror frame, then I cut the 2 X 4, 3 inches longer. 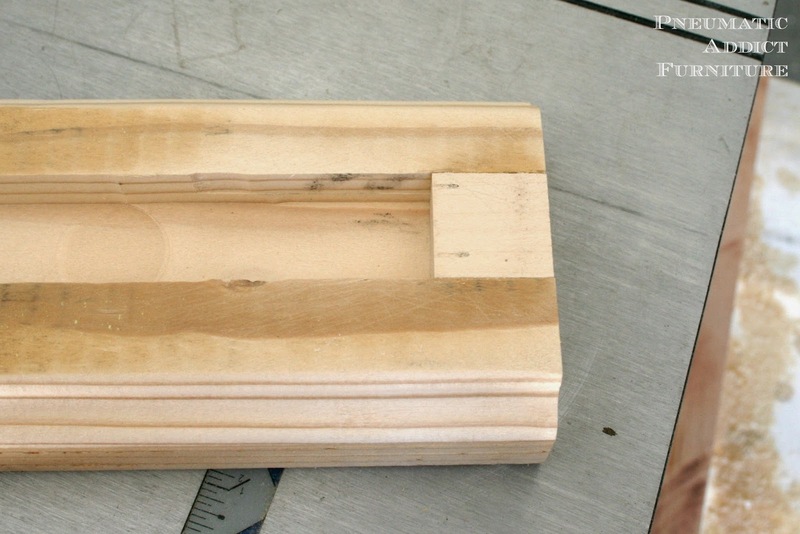 Next, I needed to create a trough or dado for the original frame to sit in. 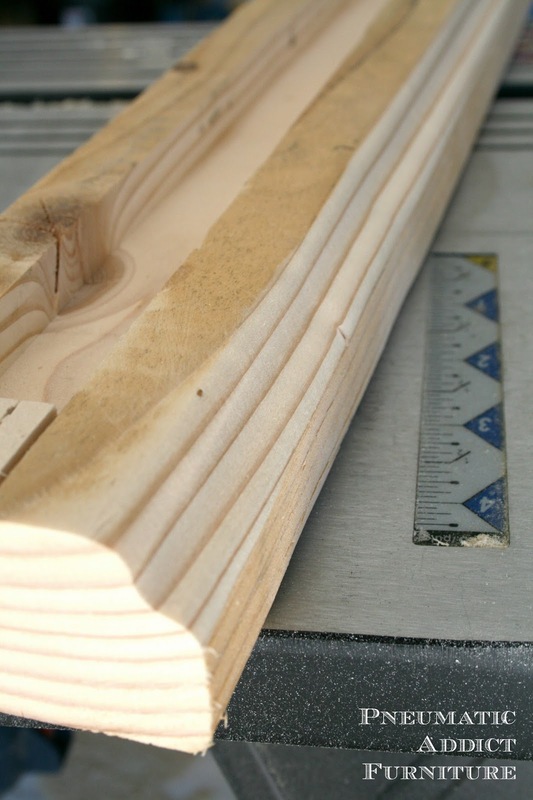 You can buy special dado blades for your table saw ($$$) or you can use a router. 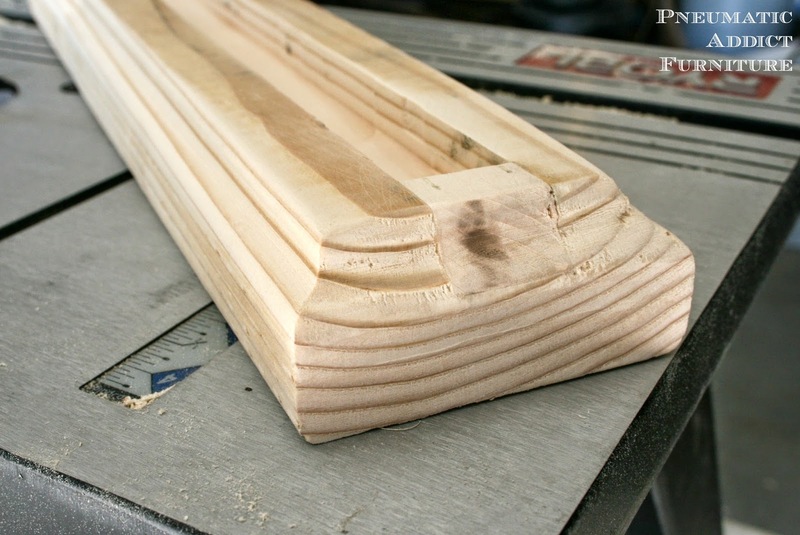 Luckily, I had recently picked up a little router table from a garage sale for $20, so router was the way to go. I wanted to fancy up the edge a bit, so I ran the long sides of the 2 x 4 through the router table again, this time with a basic ogee bit. 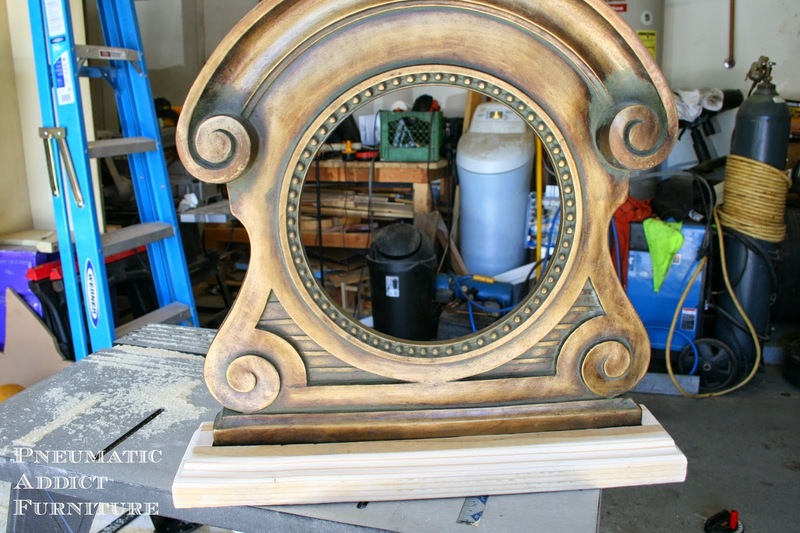 At this point, if I had placed the mirror frame in the dado, I would have been left with weird voids on either side. To fill those in, I simply cut some small blocks out of scrap, and glued them in place. 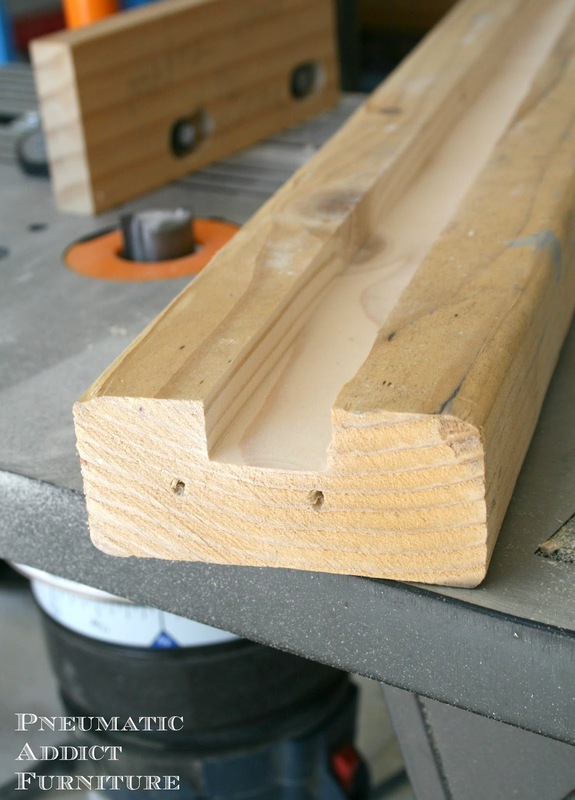 Then, I routed the short ends with the same ogee bit. All that was left was to place the original frame on the new base. Luckly, it was a pretty tight fit, but I still made sure to fill the dado with plenty of glue before I mounted the frame. That bad boy wasn't going anywhere. Yes, that is what my garage actually looks like. Jealous? I looked and looked for the final photo, and I can't find it anywhere. You'll just have to pretend. I used wood filler in any small gaps, and painted the base to match. It looked cool, I promise. Although I used a few slightly advanced wood working techniques, this was a really quick and easy project. Hopefully you will give it a try....and send me photos! I love this project, great tutorial too! Man, you are on a roll girl...It's awesome!